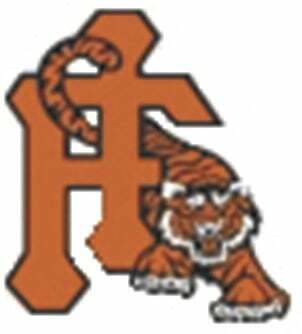 At Phoenix, the Idaho Falls High School baseball team had one win and one loss as tournament play continued in Arizona. Douglas County defeated Idaho Falls 4-2 earlier in the day. The Tigers committed three errors and were outhit 10-4. Braxton Ball went 2 for 3 with a triple and an RBI. The Tigers defeated Lutheran 6-2 to end the day, building a 5-0 lead through four innings. Ball, Cannon Thompson, Taggert Miller, Dylan Seeley, Caden White, Zach Lee and Zach Bridges all registered hits. Ball had two RBIs and Miller had one for the Tigers, who play Desert Edge this afternoon. IDAHO FALLS— Pitchers: Nate Rose 2 IP, 5 H, 3 R, 3 ER, 0 K, 1 BB; Caden White 4 IP, 5 H, 1 R, 0 ER. Leading hitters: Braxton Ball 2-3. RBI: Ball. 3B: Ball. DOUGLAS COUNTY—Pitchers: #11 6.1 IP, 4 H, 2 R, 1 ER, 13 K, 6 BB. Leading hitters: Murphy Gienger 3-4. RBI. Gienger. LUTHERAN—Pitchers: D. Dwinell 4 IP, 5 H, 5 R, 2 ER, 0 K, 3 BB; Nick Moss 2 IP, 2 H, 1 R, 0 ER, 2 BB. Leading hitters: Carson James 2-3. 2B: Brody Schneider, M. Barnhart. RBI: T. Rae. IDAHO FALLS—Pitchers: Andrew Gregersen 5 IP, 3 H, 2 R, 1 ER, 9 K, 5 BB; Chris Dompier 2 IP, 1 H, 0 R, 0 ER, 1 K, 0 BB. Leading hitters: none. RBI: Ball 2, Miller. Tucker Hansen and Siler Serr scored off Isom’s single, giving him two RBIs and a 2 for 4 performance at the plate in the win. Dalton Capell went 2 for 3 and had two RBIs for the Panthers, who host South Fremont today. Carson Reiley, Forrest Wartig, Dusty Hess and Adam Nelson each recorded a hit for Teton and Huss had two RBIs. TETON—Pitchers: Carson Reiley 6 IP, 4 H, 2 R, 2 ER, 8 K, 5 BB; Harry Moulton 0.2 IP, 1 H, 2 R, 2 ER, 1 K, 2 BB. Leading hitters: none. RBI: Hess 2. SNAKE RIVER—Pitchers: Kaden Martin 3 IP, 4 H, 3 R, 3 ER, 3 K, 4 BB; Payton Brooks 4 IP, 0 H, 0 R, 0 ER, 4 BB, 4 K. Leading hitters: Dalton Capell 2-3, Benson Isom 2-4. 2B: Capell. RBI: Isom 2, Capell 2. WEST JEFFERSON 17, SUGAR-SALEM 9: At Terreton, a six-run fourth inning by West Jefferson broke open a high scoring game en route to a nonconference win over Sugar-Salem. The game was tied 7-7 through three innings. Baylee Mason went 4 for 4 with two doubles and three RBIs and Makiah Rogers went 2 for 4 with three RBIs. Kyla Johnson went 2 for 5 with an RBI and also took the win in the circle, giving up two runs on two hits while walking one and striking out 11 for the Panthers, who are off until April 2 for spring break. WEST JEFFERSON—Pitchers: Kyla Johnson 7 IP, 2 H, 2 R, 2 ER, 11K, 1 BB. Leading hitters: Baylee Mason 4-4, Makiah Rogers 2-4, Johnson 2-5. 2B: Mason 2. RBIs: Mason, Rogers 3, Johnson, J’Mae Torgerson. SUGAR-SALEM—Pitchers: Pocock 2 IP, 5 H, 7 R, 1 ER, 1 K, 3 BB; Choffin 4 IP, 4 H, 10 R, 3 ER, 2K, 3 BB. Leading hitters: none. HR: Sanderson. RBI: Sanderson 2. FIRTH 18, WEST SIDE 0 (5 INNINGS): At Firth, the Cougars shut out West Side in five innings for a nonconference win. Kelsey Cardenas got the win in the circle for the Cougars, who built a 15-0 lead through three innings. She held the Pirates to two hits and struck out seven and walked one in 4.2 innings pitched. Maisie Adams went 3 for 5 with two RBIs, Kate Leslie went 2 for 4 with three RBIs and Kylee Barker and Megan Jolley each went 1 for 2 with a double for Firth. FIRTH—Pitchers: Kelsey Cardenas 4.2 IP, 2 H, 0 R, 0 ER, 7 K, 1 BB. Leading hitters: Maisie Adams 3-5, Kate Leslie 2-4. 2B: Kylee Barker, Megan Jolley. RBI: Adams 2, Leslie 3, Hailey Barker 3. WEST SIDE—Pitchers: M. Wade 5 IP, 8 H, 18 R, 16 ER, 3 K, 11 BB. Leading hitters: none. SNAKE RIVER 16, TETON 0 (3 INNINGS): At Moreland, Snake River scored 11 runs in the second inning en route to a dominating three-inning nonconference win over Teton. The Panthers outhit the Redskins 12-4 and had three players who each went 3 for 3: Abbie Tew, Tatum Cherry and Emma Warren. Tew and Warren each had doubles while Tew had four RBIs, Warren had three and Cherry had two for the Panthers (1-2). TETON—Pitchers: K. Lancastor 1.1 IP, 5 H, 9 R, 9 ER, 2 K, 5 BB; S. Hicks 1.1 IP, 7 H, 7 R, 7 ER, 1 K, 2 BB. Leading hitters: none. SNAKE RIVER—Pitchers: Anna Larsen 3 IP, 4 H, 0 R, 0 ER, 4 K, 0 BB. Leading hitters: Tatum Cherry 3-3, Abbie Tew 3-3, Emma Warren 3-3. 2B: Tew, Warren. RBI: Tew 4, Cherry 2, Morgan Gardner, Warren 3.